Being renowned for many things such as technology, food and cars, Japan is also widely known for beauty products. Companies such as Shiseido, Shu Uemura and my favourite SKII are all from Japan and internationally used among many. Most beauty trends come from the far East and it was Shu Uemura that put cleansing oils on the map by introducing the first oil cleanser to Japan in 1967, it is now a cult favourite with many. 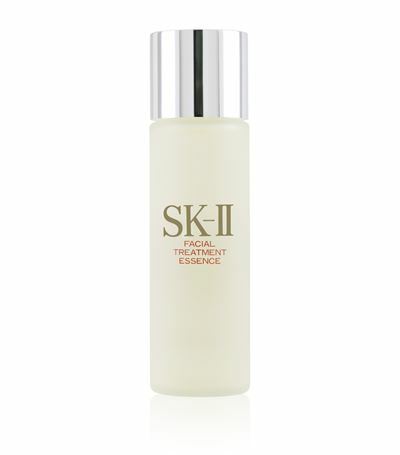 In my twenties, I was obsessed with SKII products, especially their facial treatment essence. This is the ultimate 'staple in Japan', it contains 90% of Pitera, a miracle ingredient that is meant to transform your skin to make it 'crystal clear'. Their mask is amazing too where it left my face glowing and fully moisturised, but their products don't come cheap, a 75ml bottle is around £70 and a pack of 6 masks is £60. To be honest, I don't remember spending that much, I think I started off with a starter pack then must have bought one facial essence and was gifted one from Japan by my brother. When I found out my brother was off to Japan again, there was only one thing on my mind, ok maybe a few things, but the one product that was taking the beauty world by storm was the 'Cure Natural Aqua Gel'. Apparently this is Japans best-selling skincare product where one bottle sells every 12 seconds. The product is gentle and made from natural plant extracts from aloe vera, rosemary and ginkgo. It has no artificial colours or preservatives, it's fragrance-free and contains 'approximately 91%' of water, plus it was half the price in Japan so I asked for two, praying that this was THE product for me. After reading all the reviews and everyone raving on about this product I had high expectations, and I must admit it lived up to my expectation, it's amazing!! It's the best exfoliator I have used, leaves my skin feeling super clean and smooth. Most exfoliators can be harsh to the skin and usually requires scrubbing beads, but this one is so gentle on the skin you don't even need to apply pressure to it. After a few seconds, the product works it's magic and removes unwanted dead skin cells. Can also be applied to other parts of the body like neck and elbows etc. Another favourite in Japan is the deep cleansing oil by DCH, according to the brand's website one is sold every 10 seconds worldwide, definitely need to try this being a fan of oil cleansers. It contains antioxidant ingredients like rosemary and olive oil plus it's rich in vitamins. Price wise it's not too bad, plus it's on discount at the moment on their website. Japanese products seem to use a lot of natural ingredients and beauty definitely seems a lot simpler there. 'The theory is that women shouldn't put anything on their skin what will poison them if they were to eat it', I guess that's something to think about. Read more Japanese beauty secrets on www.blowltd.com.